PartyCasino has been around since 1997, but it was the company's decision to merge with Bwin in 2011 that saw the website soar to unimagined heights. The casino room is now operated by Bwin.party, one of the largest gaming companies, and it is licensed in Gibraltar. The games run on an in-house software, which only adds to exclusivity. Featuring over 160 attractive games in download mode, with staggering progressive jackpots included, PartyCasino provides an exciting gaming environment for their loyal customers, with live casino, mobile casino, VIP program and excellent player promotions making everything all the more enjoyable. PartyCasino opted to take a risky route by developing their own software, but that also allowed them to offer some titles that cannot be played anywhere else. And while the full suite of over 160 games is available in download mode, flash version features a very good selection of 135 titles and is also Mac compatible. The full game portfolio features more than 100 slot machines, with over 25 progressive slots included. As far as card and table games are concerned, casino classics Video Poker, Blackjack, Roulette and its numerous variants are supported, meaning you certainly will not be disappointed by the amount of games on offer. PartyCasino is well aware that slot machines have become extremely popular among casino gamers, and their portfolio of over 100 attractive slot games is likely to prove more than sufficient. Players can enjoy branded games such as The Terminator, The Naked Gun, The Godfather, Top Gun and more, as well as plenty of progressive jackpot games. Blackjack lovers are likely to be impressed by what the casino has to offer seeing as how their favourite game is available in quite a few interesting variants. Single-player and Single-deck Blackjack are the basic variations, while more complex games include No-download multi-hand Blackjack, Multi-player multi-hand Blackjack, Multi-hand Blackjack Pro, High-limit Blackjack and Bonus Pairs. There is a total of three Roulette games available, but European Roulette, European Roulette Pro and American Roulette should prove sufficient given that other variations usually look like one another. Before playing you can check important information, how to play section and paytable for each of the games. Courtesy of PartyGaming's in-house software, you will be able to enjoy some highly entertaining video poker games such as Flamingo Poker, Joker Poker Deuces Wild, Jungle Rumble Draw Poker, Kooka Keno Poker, The Vegas Club and Mega Joker Poker. Sign up for an account with PartyCasino and you will receive a 100% first deposit bonus up to $750 to kick off your gaming campaign. Numerous other surprises lie in store, with reload bonuses, cash bonuses, linked bonuses, Prize Harvest, Jackpot Totals, Road Trip and many more at your disposal. The casino supports a wide range of premium banking methods, most of which come free of charge so simply select the country of your residents and see which options you can use for deposits and withdrawals. The most popular ones include Visa, Master Card, PayPal, Neteller, Skrill, Ukash, Western Union and Instadebit. Customer support staff is available 24/7 to assist in any way they can and you can reach them through toll-free numbers, email or live chat. SSL Version 3 128-bit encryption is in place to safeguard your personal and financial information. Bwin.party has put their extensive experience in the gaming industry to great use as they revamped Party Casino and turned it into one of the leading gaming venues on the web. It is their in-house software that makes the casino room stand out of the crowd, with excellent selection of unique games leaving nobody indifferent. 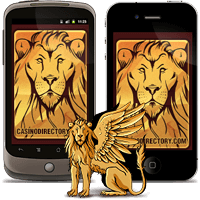 And while live dealer casino and mobile website are in place to accommodate different types of online gamers, chances are all the customers will thoroughly enjoy lucrative bonuses and promotions, free financial transactions, basic loyalty program as well as the exclusive VIP scheme. Is it safe for me to play at Party Casino? Yes. Party Casino uses one of the most advanced firewalls as well as a 128-bit digital encryption to protect your confidential information and banking details. Which Blackjack games are available in Party Casino? The following Blackjack variants can be played at Party Casino: Bonus Pairs Blackjack, High-limit Blackjack, Multi-hand Blackjack, Multi-hand Blackjack Pro, Multi-player multi-hand Blackjack, Single-deck Blackjack and Single-player Blackjack. Does the casino charge any fee for deposits and withdrawals? No. There are absolutely no fees involved for either deposits or withdrawals. The minimum deposit limits depends on your chosen payment method, with players able to deposit as little as €1 using Skrill. Which software is used by Party Casino? Party Casino games are powered by in-house software, allowing customers to enjoy an exclusive selection of titles that cannot be played anywhere else.